Most of the time, I do try to open up these blog posts with a quote from the movie itself but for some reason I can't seem to recall any memorable quotes from Riddick. I tried to go on IMDB for help too but it turns out the movie is too new for any quotes so, here's a quote-less movie review! Vin Diesel Riddick taking a big dump on...I don't know what. The storyline of Riddick is fairly simple to begin with. He simply wants return to a place he calls home (Or Furya apparently) but he has been dropped off at a place called...not Furya. It's apt but it's stolen off the movie so I suppose that will just have to be my "quote of the movie" style. To make things worst, a doubled bounty has been put on his head and there are weird alien styled monsters out to kill him or anything that gets in their way. So does he get home or does he just die at "not Furya"? 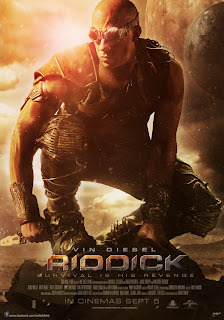 Go ahead, watch Riddick. I really like looking at his eyes. I realized that I've been watching quite a number of Vin Diesel movies lately and there's somehow something I find attractive in him besides his deep voice and bulging muscles. I think it's the cool aura he lets off. Fact: I think guys with humongous muscles are really weird and disgusting to a point BUT Vin Diesel is an exception. It's probably how the character Riddick has been written but Diesel is really just the regular Diesel-like act in this movie. I think he did much better back when he was in The Fast & The Furious and this really wasn't that special when compared. 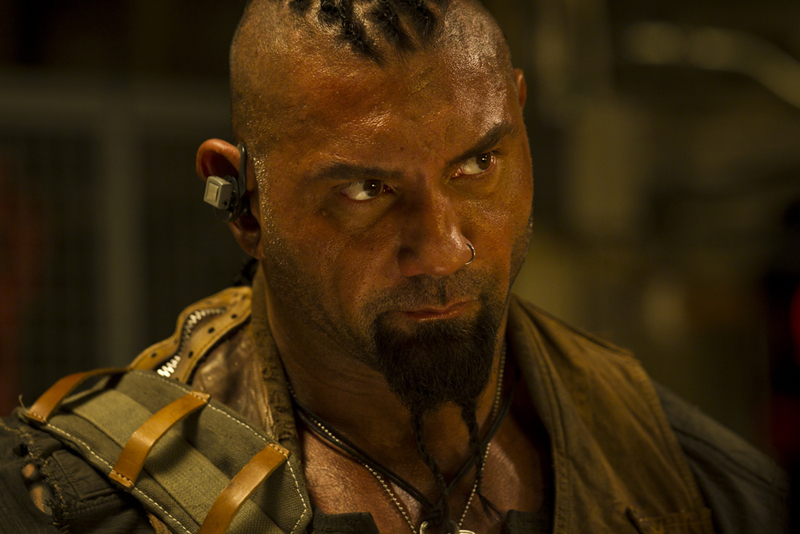 It's almost safe to say that Riddick is somewhat a one-man show because all the other actors didn't exactly get a whole lot of screen time. There's Jordi Molla as Santana, Matt Nable as Boss Johns and Dave Bautista as Diaz but that's just about the worthy to talk about ones. My dad exceptionally liked the character Luna played by Nolan Gerard Funk but it was really just because Luna was stupid throughout and my dad liked that. Jordi Molla is trying to get all high tech and stuff. Matt Nable is "Big Daddy Johns" with a spine. And all this while Dave Bautista just swerves around being Diaz. The movie as an overall is entertaining enough even when I've never quite watched any of the Riddick franchises before. 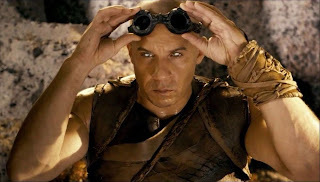 Nuffie Anne says there's another 2 or 3 Riddick movies and I've caught none of them but I believe you don't quite need a connection to figure the movie out. It's really futuristic with the guns and the bikes, ships as well as the alternate galaxies story which I think is quite overused by now but still doesn't fail to deliver in awe. 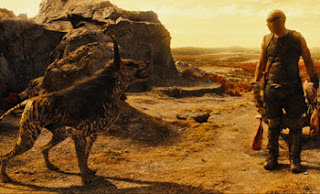 If anything, I thought the relationship between Riddick and the dog was really sweet and loving. 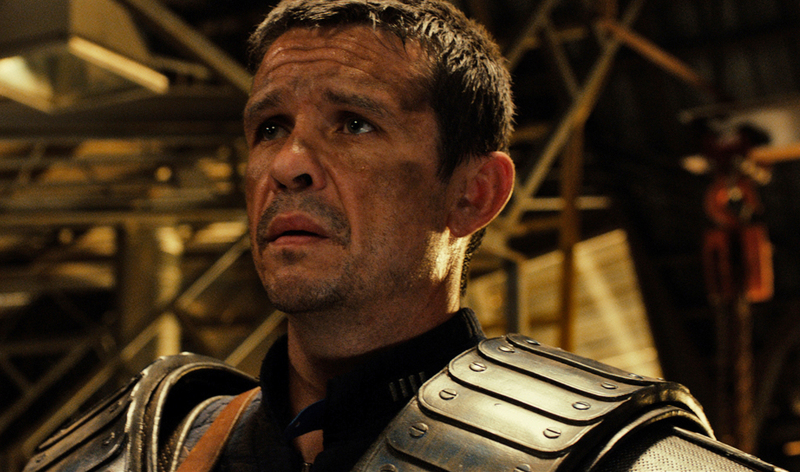 Daddy agrees and talked about how smart Riddick was with the canine. It is however fairly gory so you might not want to have a heavy meal before walking in and it's also a tad bit dark as a movie but that's really just the setting. Be prepared to be a little blinded on occasional brightness and a considerable amount of blood shed then you'll be fine for the movie. I guess I'd put it on 6/10 for my personal scale of things mainly because I don't have much enjoyment for the gore. Daddy was okay with it but noted to me on the simple, plain and predictable storyline so you may have to figure it out yourself if it's worth your money to watch on the big screens. 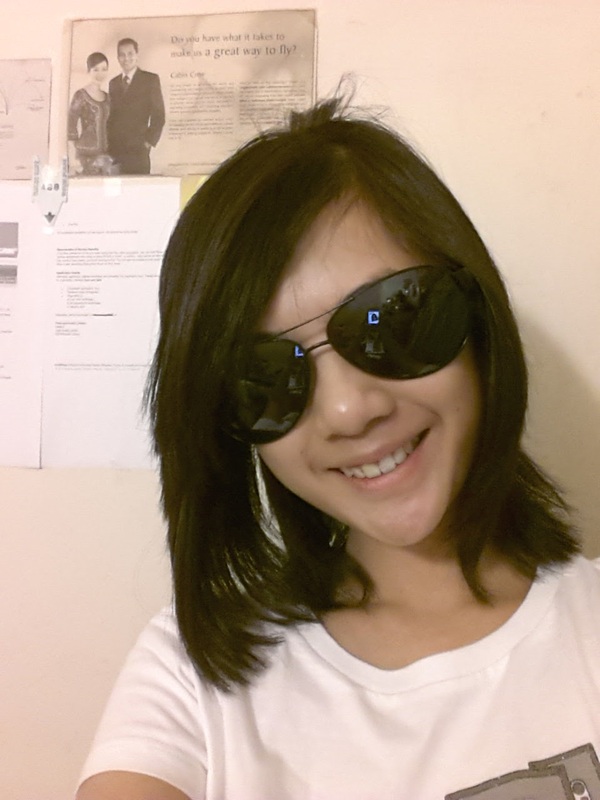 I also won stole myself the Riddick sunglasses and I think it looks really REALLY chio on me. Thanks, Ka Wah. You're so awesome for letting me have it. And yes. I cut my hair after donning the same style for a while now. I'll talk about that in a separate post...if I remember to. A number of of my friends had 'predator pink' quotes after watching it. LOL. It’s everything you would expect from a final entry into this franchise, for better and for worse. For me though, it was slightly better. Good review.